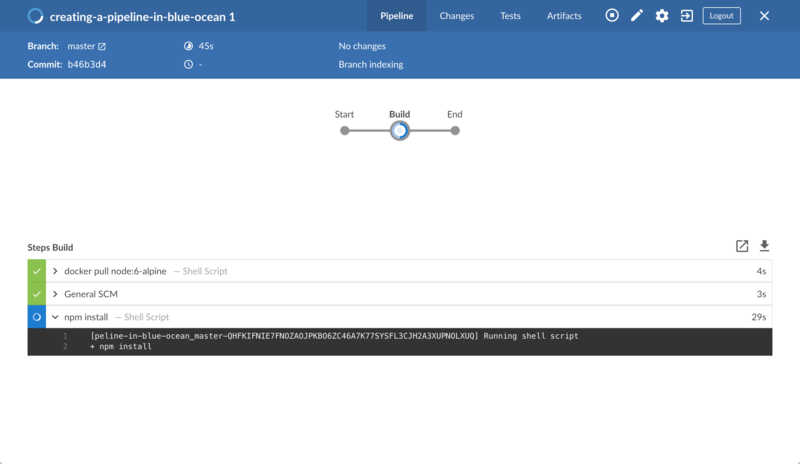 This tutorial shows you how to use the Blue Ocean feature of Jenkins to create a Pipeline that will orchestrate building a simple application. Before starting this tutorial, it is recommended that you run through at least one of the initial set of tutorials from the Tutorials overview page first to familiarize yourself with CI/CD concepts (relevant to a technology stack you’re most familiar with) and how these concepts are implemented in Jenkins. This tutorial uses the same application that the Build a Node.js and React app with npm tutorial is based on. Therefore, you’ll be building the same application although this time, completely through Blue Ocean. 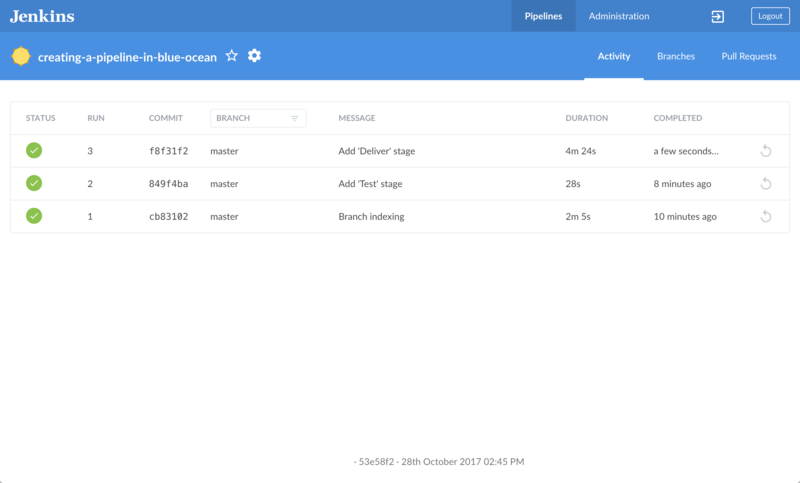 Since Blue Ocean provides a simplified Git-handling experience, you’ll be interacting directly with the repository on GitHub (as opposed to a local clone of this repository). If you’ve already run though another tutorial, you can skip the Prerequisites and Run Jenkins in Docker sections below and proceed on to forking the sample repository. If you need to restart Jenkins, simply follow the restart instructions in Stopping and restarting Jenkins and then proceed on. Fork the simple "Welcome to React" Node.js and React application on GitHub into your own GitHub account. Fork the creating-a-pipeline-in-blue-ocean on GitHub into your local GitHub account. If you need help with this process, refer to the Fork A Repo documentation on the GitHub website for more information. Note: This is a different repository to the one used in the Build a Node.js and React app with npm tutorial. Although these repositories contain the same application code, ensure you fork and use the correct one before continuing on. have browsed to http://localhost:8080/, are logged in and have clicked Open Blue Ocean on the left. 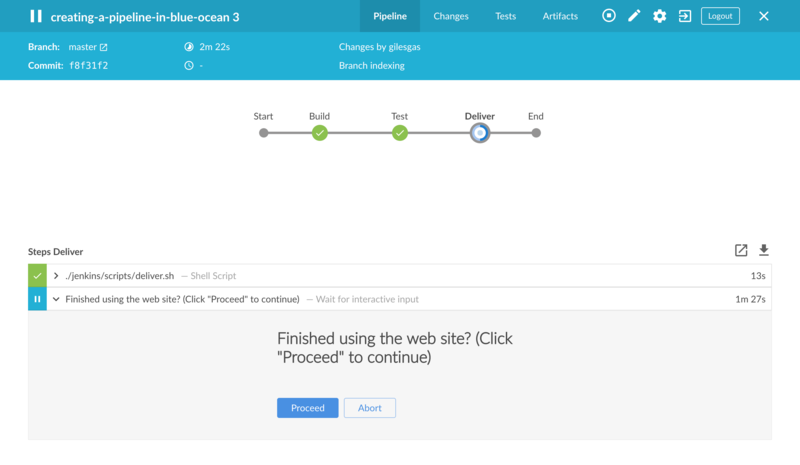 In the Welcome to Jenkins box at the center of the Blue Ocean interface, click Create a new Pipeline to begin the Pipeline creation wizard. Note: If you don’t see this box, click New Pipeline at the top right. In Where do you store your code?, click GitHub. In Connect to GitHub, click Create an access key here. This opens GitHub in a new browser tab. 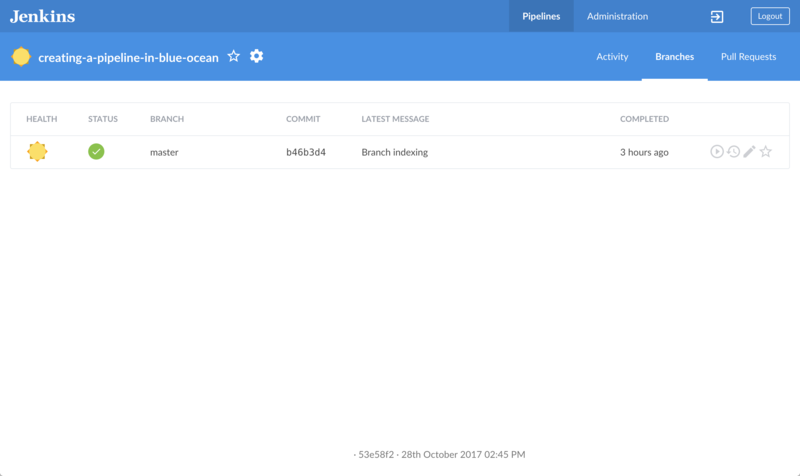 Note: If you previously configured Blue Ocean to connect to GitHub using a personal access token, then Blue Ocean takes you directly to step 9 below. Note: An access token is usually an alphanumeric string that respresents your GitHub account along with permissions to access various GitHub features and areas through your GitHub account. This access token will have the appropriate permissions pre-selected, which Blue Ocean requires to access and interact with your GitHub account. Scroll down to the end of the page (leaving all other Select scopes options with their default settings) and click Generate token. 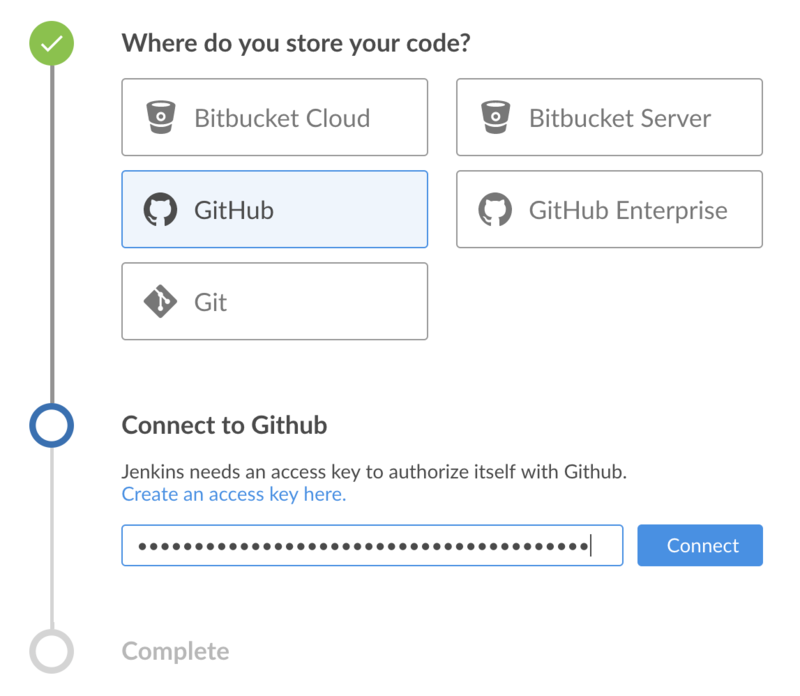 Jenkins now has access to your GitHub account (provided by your access token). In Which organization does the repository belong to?, click your GitHub account (where you forked the repository above). In Choose a repository, click your forked repository creating-a-pipeline-in-blue-ocean. 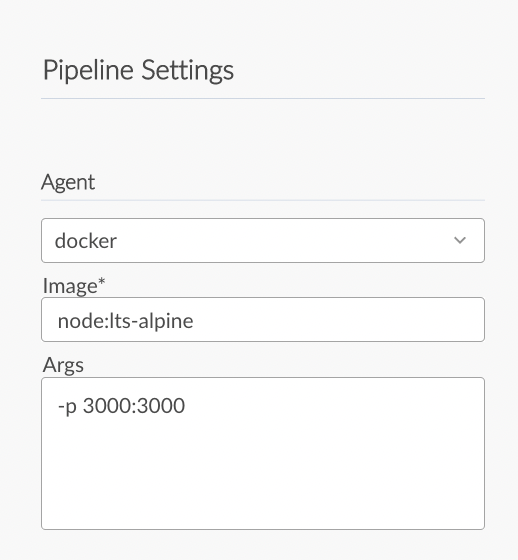 Following on from creating your Pipeline project (above), in the Pipeline editor, select docker from the Agent dropdown in the Pipeline Settings panel on the right. In the Image and Args fields that appear, specify node:6-alpine and -p 3000:3000 respectively. Note: For an explanation of these values, refer to annotations 1 and 2 of the Declarative Pipeline in the ``Create your initial Pipeline…​'' section of the Build a Node.js and React app tutorial. Back in the main Pipeline editor, click the + icon, which opens the new stage panel on the right. In this panel, type Build in the Name your stage field and then click the Add Step button below, which opens the Choose step type panel. In this panel, click Shell Script near the top of the list (to choose that step type), which opens the Build / Shell Script panel, where you can enter this step’s values. Tip: The most commonly used step types appear closest to the top of this list. To find other steps further down this list, you can filter this list using the Find steps by name option. In the Build / Shell Script panel, specify npm install. Note: For an explanation of this step, refer to annotation 4 of the Declarative Pipeline in the Create your initial Pipeline…​ section of the Build a Node.js and React app tutorial. ( Optional ) Click the top-left back arrow icon to return to the main Pipeline editor. Click the Save button at the top right to begin saving your new Pipeline with its "Build" stage. In the Save Pipeline dialog box, specify the commit message in the Description field (e.g. Add initial Pipeline (Jenkinsfile)). 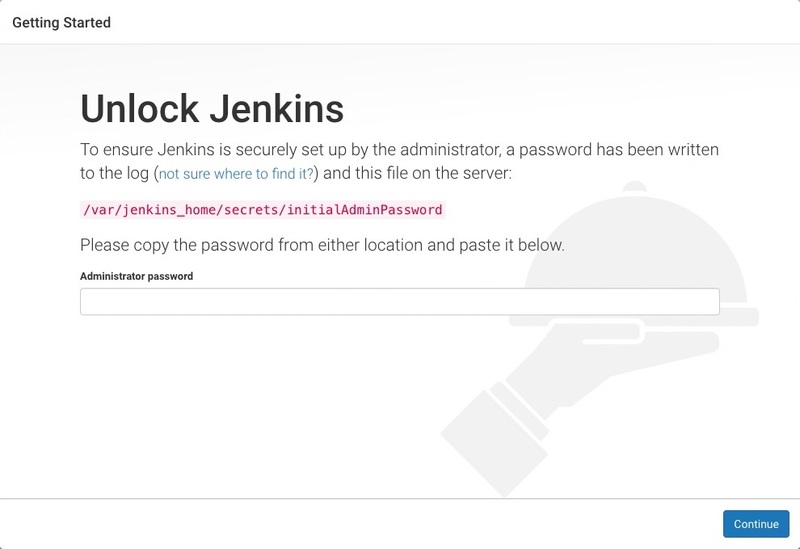 Leaving all other options as is, click Save & run and Jenkins proceeds to build your Pipeline. 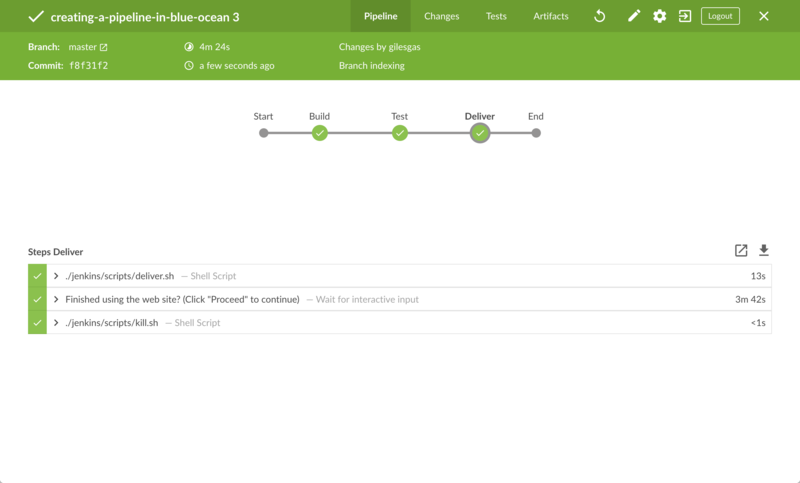 When the main Blue Ocean interface appears, click the row to see Jenkins build your Pipeline project. 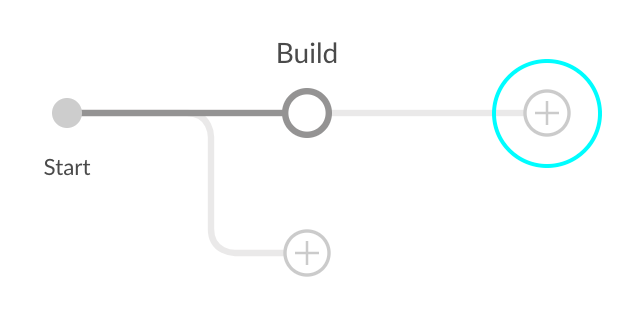 Commits your Pipeline as a Jenkinsfile to the only branch (i.e. master) of your repository. Initially queues the project to be built on the agent. 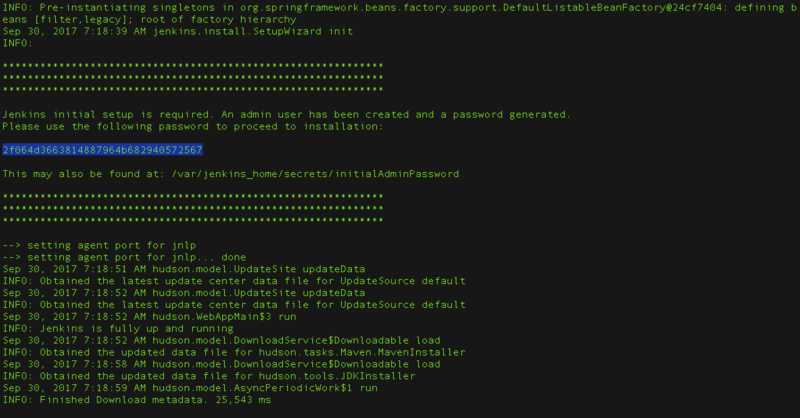 Executes the Build stage (defined in the Jenkinsfile) on the Node container. (During this time, npm downloads many dependencies necessary to run your Node.js and React application, which will ultimately be stored in the local node_modules directory within the Jenkins home directory). 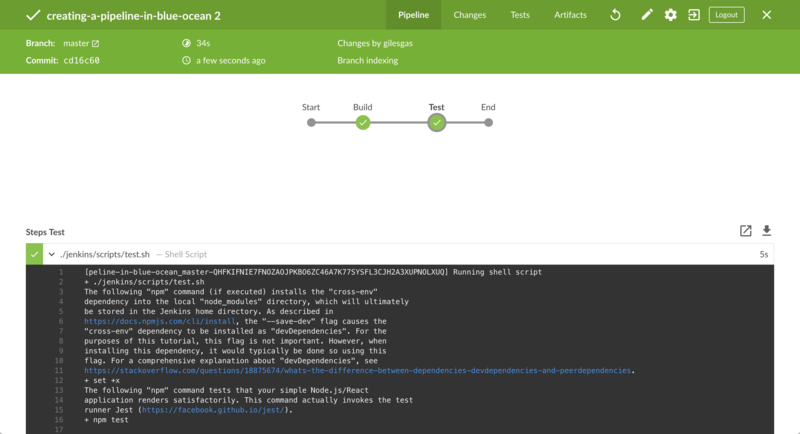 The Blue Ocean interface turns green if Jenkins built your application successfully. 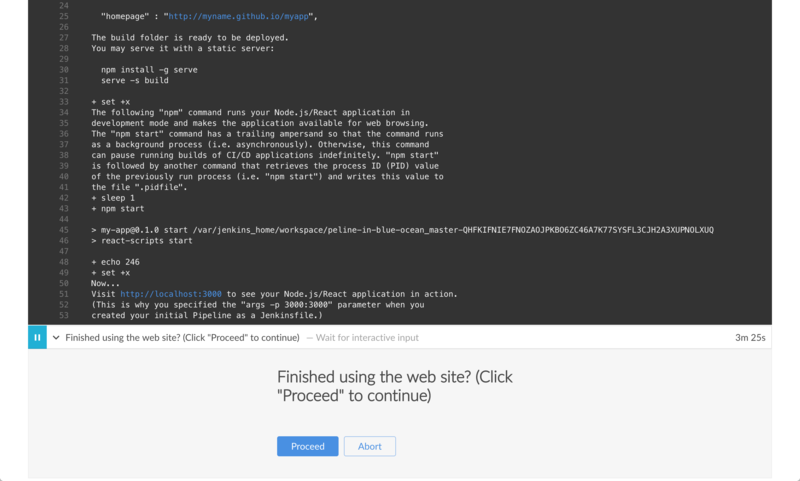 Note: Before continuing on, you can check that Jenkins has created a Jenkinsfile for you at the root of your forked GitHub repository (in the repository’s sole master branch). From the main Blue Ocean interface, click Branches at the top-right to access your respository’s branches page, where you can access the master branch. Click the master branch’s "Edit Pipeline" icon to open the Pipeline editor for this branch. In the main Pipeline editor, click the + icon to the right of the Build stage you created above to open the new stage panel on the right. In this panel, type Test in the Name your stage field and then click the Add Step button below to open the Choose step type panel. In this panel, click Shell Script near the top of the list. In the resulting Test / Shell Script panel, specify ./jenkins/scripts/test.sh and then click the top-left back arrow icon to return to the Pipeline stage editor. At the lower-right of the panel, click Settings to reveal this section of the panel. Click the + icon at the right of the Environment heading (for which you’ll configure an environment directive). In the Name and Value fields that appear, specify CI and true, respectively. Note: For an explanation of this directive and its step, refer to annotations 1 and 3 of the Declarative Pipeline in the Add a test stage…​ section of the Build a Node.js and React app tutorial. Click the Save button at the top right to begin saving your Pipeline with with its new "Test" stage. In the Save Pipeline dialog box, specify the commit message in the Description field (e.g. Add 'Test' stage). 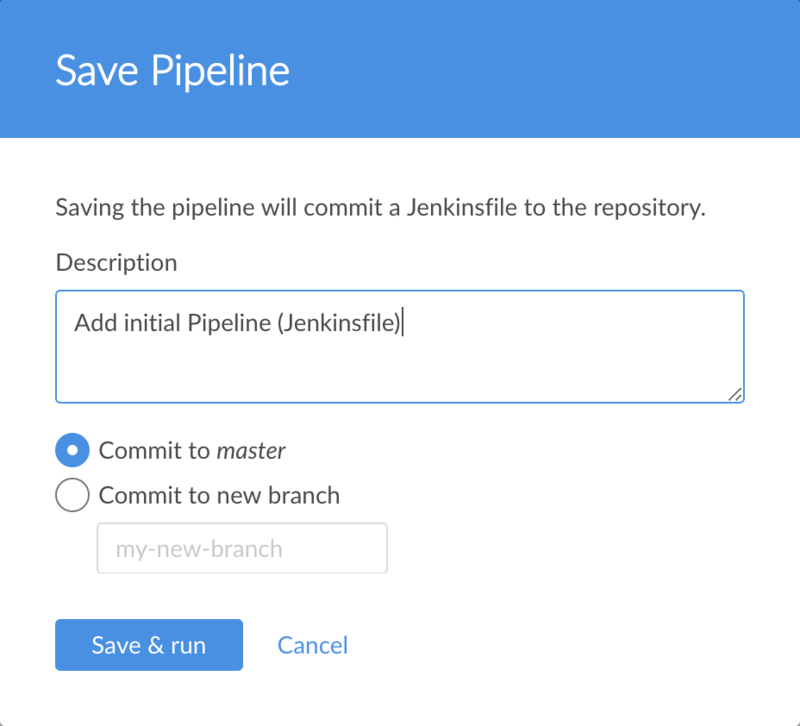 Leaving all other options as is, click Save & run and Jenkins proceeds to build your amended Pipeline. 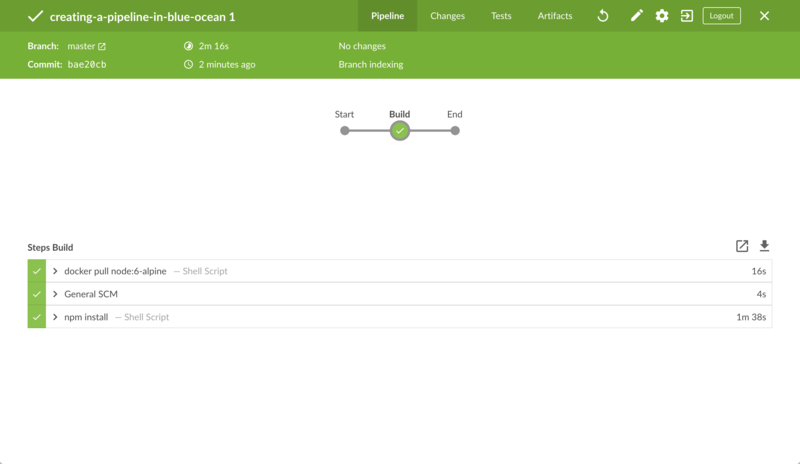 When the main Blue Ocean interface appears, click the top row to see Jenkins build your Pipeline project. Note: You’ll notice from this run that Jenkins no longer needs to download the Node Docker image. Instead, Jenkins only needs to run a new container from the Node image downloaded previously. Therefore, running your Pipeline this subsequent time should be much faster. From the main Blue Ocean interface, click Branches at the top-right to access your respository’s master branch. In the main Pipeline editor, click the + icon to the right of the Test stage you created above to open the new stage panel. In this panel, type Deliver in the Name your stage field and then click the Add Step button below to open the Choose step type panel. In the resulting Deliver / Shell Script panel, specify ./jenkins/scripts/deliver.sh and then click the top-left back arrow icon to return to the Pipeline stage editor. 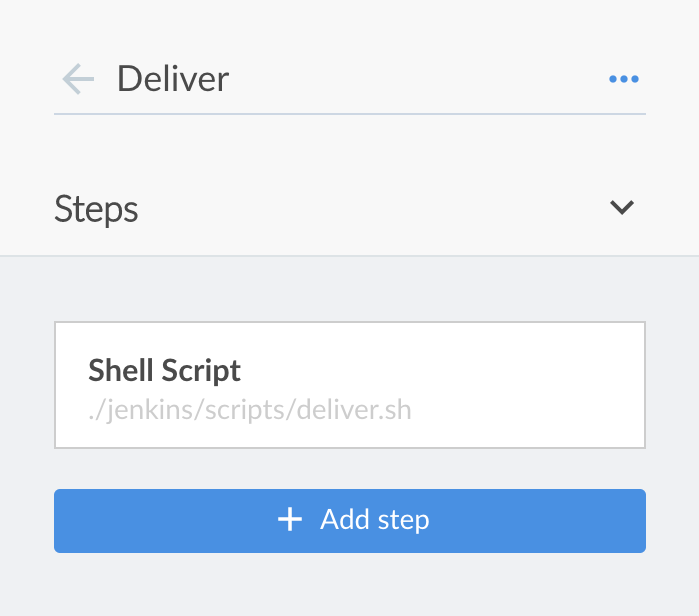 Note: For an explanation of this step, refer to the deliver.sh file itself located in the jenkins/scripts of your forked repository on GitHub. Click the Add Step button again. 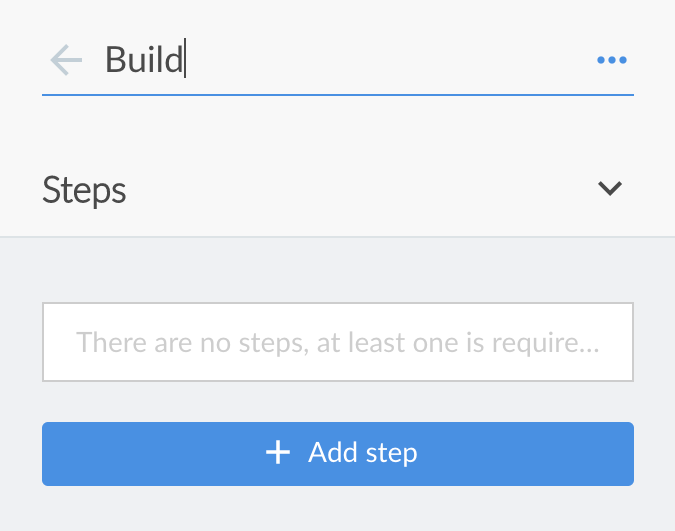 In the Choose step type panel, type input into the Find steps by name field. Click the filtered Wait for interactive input step type. 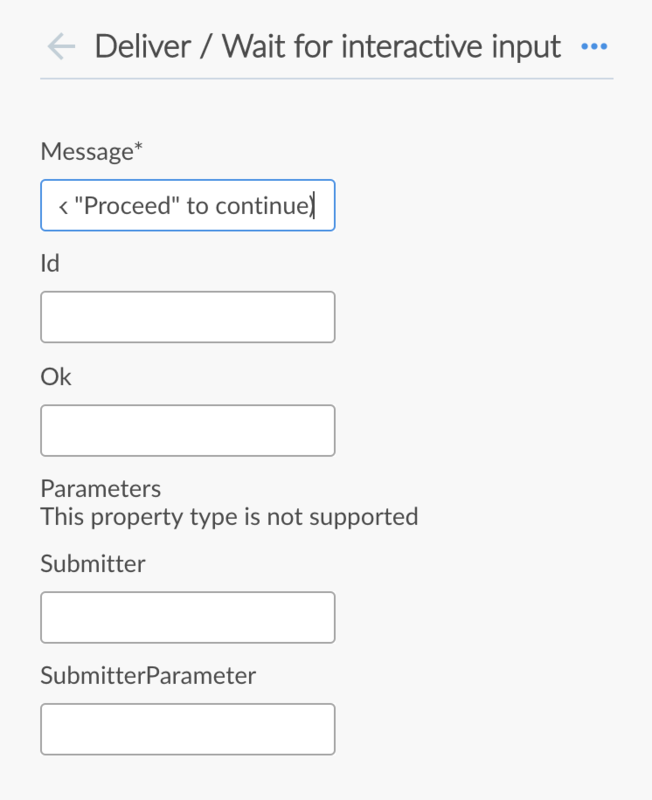 In the resulting Deliver / Wait for interactive input panel, specify Finished using the web site? (Click "Proceed" to continue) in the Message field and then click the top-left back arrow icon to return to the Pipeline stage editor. Note: For an explanation of this step, refer to annotation 4 of the Declarative Pipeline in the Add a final deliver stage…​ section of the Build a Node.js and React app tutorial. Click the Add Step button (last time). 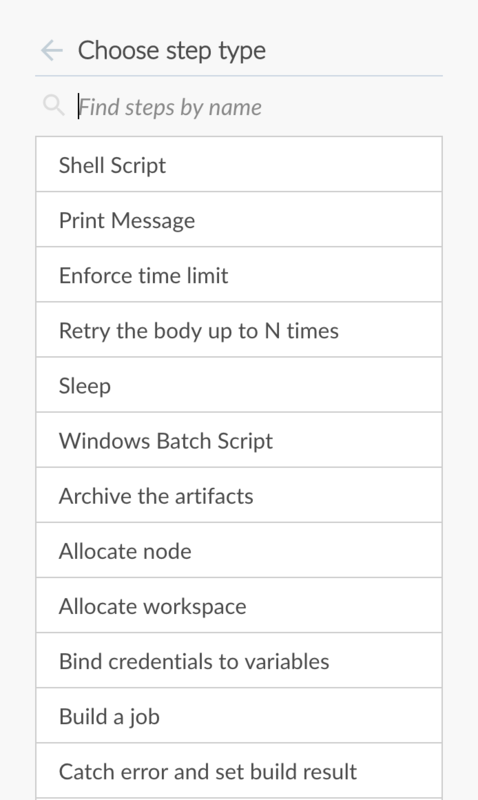 Click Shell Script near the top of the list. In the resulting Deliver / Shell Script panel, specify ./jenkins/scripts/kill.sh. Note: For an explanation of this step, refer to the kill.sh file itself located in the jenkins/scripts of your forked repository on GitHub. Click the Save button at the top right to begin saving your Pipeline with with its new "Deliver" stage. In the Save Pipeline dialog box, specify the commit message in the Description field (e.g. Add 'Deliver' stage). If you check the contents of the Jenkinsfile that Blue Ocean created at the root of your forked creating-a-pipeline-in-blue-ocean repository, notice the location of the environment directive. 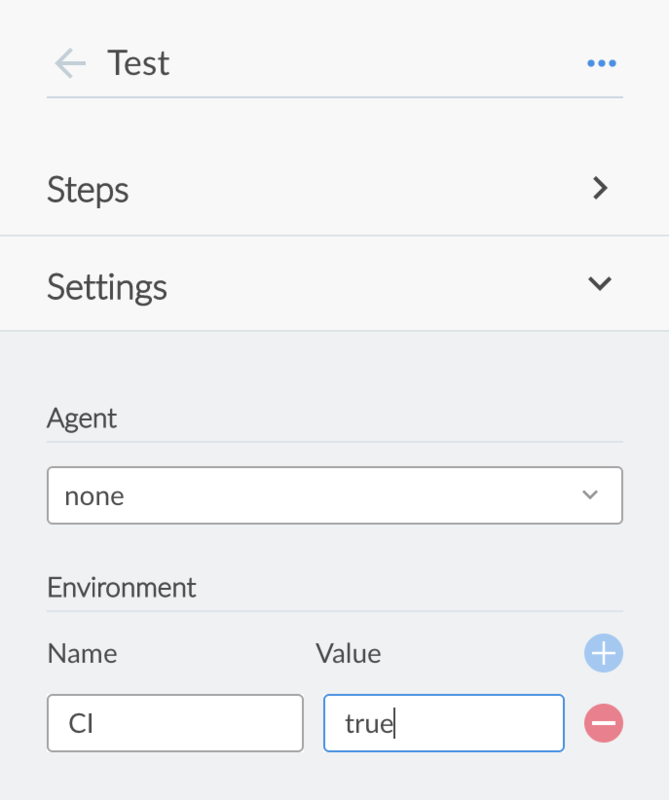 This directive’s location within the "Test" stage means that the environment variable CI (with its value of true) is only available within the scope of this "Test" stage. In the main Pipeline editor, click the Test stage you created above to begin editing it. In the stage panel on the right, click Settings to reveal this section of the panel. Click the minus (-) icon at the right of the CI environment directive (you created earlier) to delete it. Click the top-left back arrow icon to return to the main Pipeline editor. In the Pipeline Settings panel, click the + icon at the right of the Environment heading (for which you’ll configure a global environment directive). Click the Save button at the top right to begin saving your Pipeline with with its relocated environment directive. In the Save Pipeline dialog box, specify the commit message in the Description field (e.g. Make environment directive global). You should see the same build process you saw when you completed adding the final deliver stage (above). However, when you inspect the Jenkinsfile again, you’ll notice that the environment directive is now a sibling of the agent section. Well done! 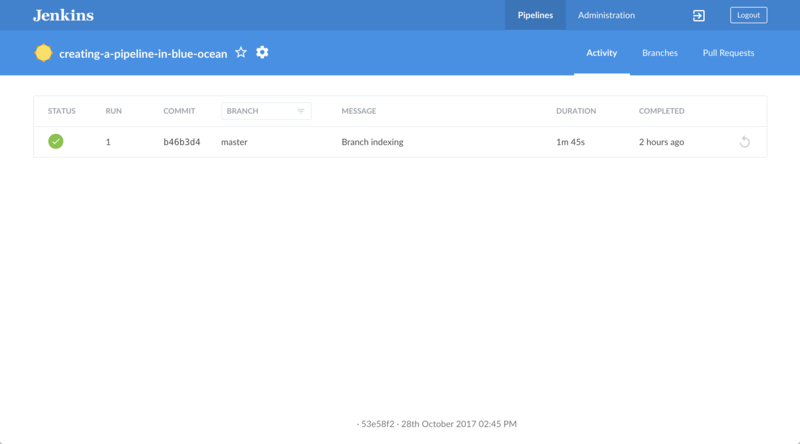 You’ve just used the Blue Ocean feature of Jenkins to build a simple Node.js and React application with npm! The "Build", "Test" and "Deliver" stages you created above are the basis for building other applications in Jenkins with any technology stack, including more complex applications and ones that combine multiple technology stacks together.